His practice encompasses all aspects of knee surgery including arthroscopy (keyhole surgery), ACL and PCL reconstruction and sports knee surgery (from amateur to elite professional) and the full range of arthritis surgery including osteotomy (re-alignment), chondral and meniscal replacement techniques, uni-compartmental, partial and revision knee replacement. Neil has a keen interest in early arthritis/arthritis prevention techniques including autologous chondrocyte implantation and meniscal cartilage repair and replacement and continues to be involved in research to develop the best possible techniques. 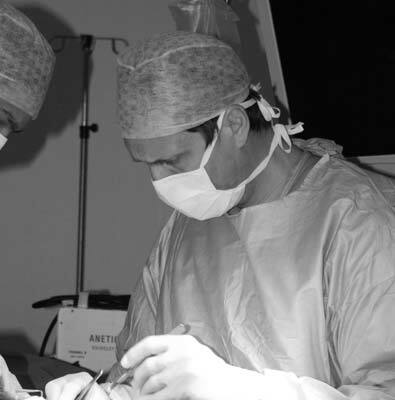 Following graduation from Cambridge University and St Mary’s Hospital Medical School, London, he undertook his surgical training in London and Yorkshire and completed his specialist knee surgery training with a one year sports knee surgery fellowship at Imperial College and a one year fellowship in Australia. In Australia, he trained with one of the world’s leading knee surgeons and was involved in the treatment of many elite international sportsmen. As a keen sportsman himself, Neil understands the frustrations of being unable to return to sport after an injury. His aim is to restore the quality of life to his patients as comfortably and quickly as their underlying conditions will allow. Neil has published and presented a number of national and international research papers and he enjoys teaching knee surgery at regional and national courses for Orthopaedic Surgeons. Neil’s practice is based in York and Leeds where he can be seen via a GP or Physiotherapist referral.